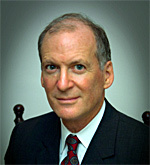 Allan D. Windt is an insurance expert witness and author of Insurance Claims and Disputes (West, 1981 first edition, 1988 second edition, 1995 third edition, 2001 fourth edition, 2007 fifth edition, 2013 sixth edition). The book has been cited as authoritative by more than 400 different courts across the country. Mr. Windt has handled insurance claims, in all 50 states, for more than 70 insurance companies and hundreds of insureds. He has handled more than 10,000 claims over approximately 30 years. In addition to his work as a claims handler, Mr. Windt has written insurance policies for numerous insurance companies. During his more than thirty years of experience, Mr. Windt has become thoroughly familiar with the accepted customs, practices and standards in the insurance industry concerning insurance claims handling, coverage, and the duties to defend, settle and indemnify. Mr. Windt has been retained as an expert witness on bad faith, coverage and breach of duty to settle issues in Mississippi, California, Oklahoma, Nebraska, Oregon, Minnesota, Texas, Tennessee, Michigan, Washington, Alaska, Colorado, Arizona, Maryland, New Jersey, New York, Florida, Alabama, West Virginia, South Carolina, North Carolina, Montana, Ohio, Illinois, Nevada, Indiana, Louisiana, Montana, Pennsylvania, New Hampshire, Massachusetts, Hawaii, Utah, New Mexico, Wisconsin, Delaware, Georgia, Montana, Idaho, Connecticut, Missouri, the District of Columbia, Virginia, Kentucky, Iowa, Bermuda and the Virgin Islands. Mr. Windt is a 1976 graduate of Duke Law School, where he finished first in his class. He has given more than 40 lectures across the country, including presentations to the American Bar Associationï¿½s Insurance Law Section, the Texas Bar Associationsï¿½s Consumer Law Section, Mealeyï¿½s and American Conference Institute events, and the home offices of numerous insurance companies.